Be the bride with all the elegance and class of the Golden Era with this Sydney Bridal Ring. This is a timeless piece that will complete your bridal look and slide easily in to your everyday jewellery wardrobe. Simple and classic, just like a timeless bride. Imagine the Sydney Ring on your finger as you sip a cosmo in a rooftop bar. You are overlooking the Sydney Harbour before a night out on the town. You wore it on your wedding day and now it’s your go to accessory for those special occasions – this night out with the girls is just that. Girls do just want to have fun, oh and great jewellery. 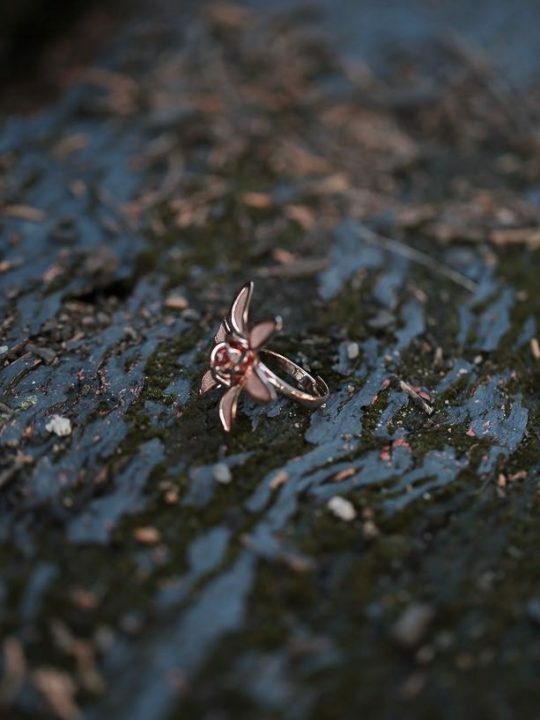 This ring is styled with vintage rose and leaf detail. 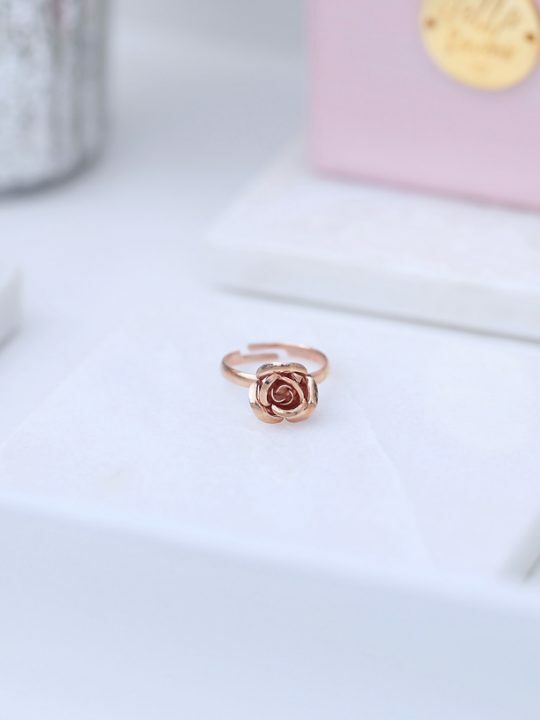 The single rose setting sits on four individual leaves that combine to create an elegant piece. 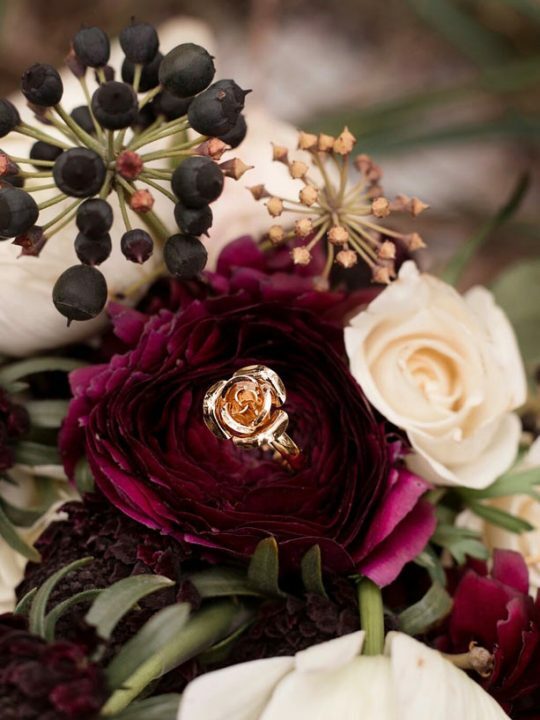 You will wear this timeless piece lovingly for years to come. The Sydney Wedding Ring is packaged in a pink Hello Lovers box with Hello Lovers tags. Consider matching the Sydney Bridal Ring with the Sydney Bridal Necklace and the Sydney Bridal Earrings for a truly timeless bridal look. The Hello Lovers Australia Collection features jewellery pieces named after and inspired by each capital city of our beautiful country. The Sydney range highlights the essence and beauty of fresh flowers and the glitz and glamour of the Sydney lifestyle. 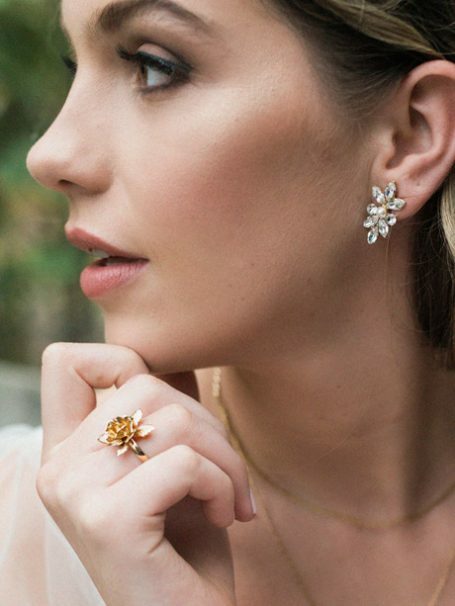 Jewellery Hand crafted in Australia by Hello Lovers. Hello lovers are also Australian wedding dress designers. Making a range of bridal gowns in fine laces with a slight vintage style.